Becoming a parent is a dream come true. There may be no other experience in your lifetime more exciting than bringing a new life into the world. Your dreams can quickly turn into nightmares, however, when the delivery room doctors or other staff members fail to do their jobs properly. There are a number of issues that need to be addressed during pregnancy and delivery to ensure the well-being of mother and child. Any mistakes by the medical team can leave the child to face a lifetime of hardship. The West Palm Beach birth injury attorneys at the law firm of Babbitt & Johnson P.A., have extensive experience handling a wide variety of complex birth injury cases. 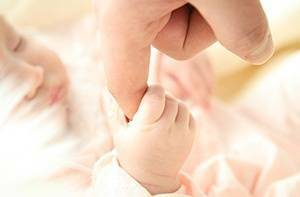 We helped our client, an infant, obtain $6.24 million to help compensate the victim for a brain injury suffered during a twin delivery. The physician and nurses failed to recognize that the child was suffering from oxygen deprivation. There is no excuse for injuries to the mother or the child during delivery. We work to identify all negligent parties and seek to recover compensation from all of them. The only thing that makes these types of cases more tragic is the fact that they are so easy to prevent. With every case we win, we also send a message that negligence and mistakes will not be tolerated. Contact our office to schedule a free consultation where you can speak with an attorney about your birth injury claim questions. We will give you an honest assessment of your case and explain your legal options. You can reach us by phone at (561) 684-2500, toll free at 1-888-666-0523 or contact us online.